"Voluntary catch & release is the single most important conservation contribution that individual salmon anglers can make to the protection of future salmon stocks". 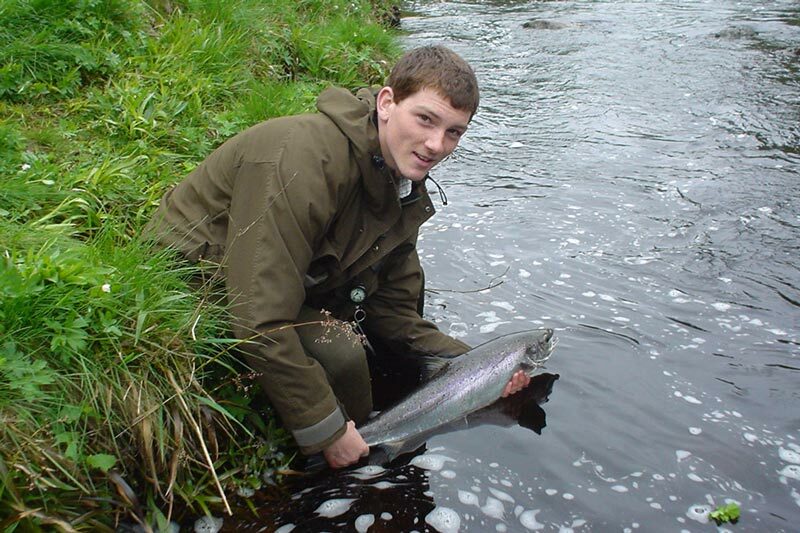 According to a 2005 report1 by the Fisheries Research Services, ‘catch and release’ of Atlantic salmon is now a generally accepted practice in Scotland, and an increasing trend, and the current release level is a valuable contribution to the conservation of all stock components. Since the 2005 report, the practice of Catch & Release had continued to increase in Scotland. The 2011 Salmon Fishery Statistics paper2 by the Scottish Government reports that 73% of the Scottish annual rod catch was returned, and within this total 91% of rod caught spring salmon were released. The total rod catch in 2011 of 87,915 wild salmon & grilse was above the average since records began in 1952. 'This increase, together with the decline in the net fisheries, has resulted in the total rod catch comprising 82% of the total Scottish catch in 2011 compared to 11% in 1952'. Catches from net fisheries between 1950 and 1980 were typically in the range of 100,000 - 250,000 salmon & grilse; evidence that 'Marine survival of salmon has declined substantially over the period convered by the catch statistics'. Reductions in the netting industry has acted as a buffer for the rod fisheries as marine survival has declined. The combined rod & net catch of Atlantic salmon in Scotland is now at a historially low level, demonstrating the decline in survival at sea. As the rod catch now represents over 80% of the total catch in Scotland, the benefits of anglers limiting their kill, and endorsing 'Catch & Release' as a practice, becomes even more important. The following graph provided by Simon McKelvey from the Cromarty Firth Fishery Trust shows the increasing proportion of fish returned by anglers on the River Alness from 1994 to 2005. 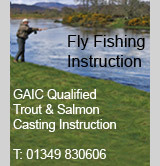 The combined catch and release percentage for the River Conon and River Alness in 2006 was 56%. 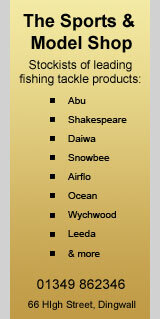 The return rate on the Novar Fishings for the 2013 season was 80%. Returned Fish River Alness 1994-2005 - Click for larger image. 1. Use barbless hooks – pinch the barbs down of standard hooks with pliers. 2. Use small singles or doubles and avoid using trebles which can easily lodge in both the upper and lower jaws. 3. Ensure that your rod and leader are strong enough for the conditions and the expected size of fish so that you can subdue the fish quickly once hooked. 4. Playing and landing fish quickly, reduces stress and fatigue and helps a quick recovery. 5. If possible, unhook the fish in the water. If that’s not possible use a knotless mesh landing net and return it to the water as soon as possible. Wet your hands first and support the fish underneath at all times. Never lift the fish out of the water by only holding it by the tail. 6. Never use gaffs or tailers, or beach fish. 7. Use pliers to remove the hook. 8. Keep the fish in the water, supporting it from underneath. Hold it carefully facing into the current until it is ready to swim off. It may kick and swim off on its own, or it may be a few minutes until it is ready. Try lowering the hand that is supporting it from underneath – if the fish starts to drop nose down, support it for another minute or two and try again.